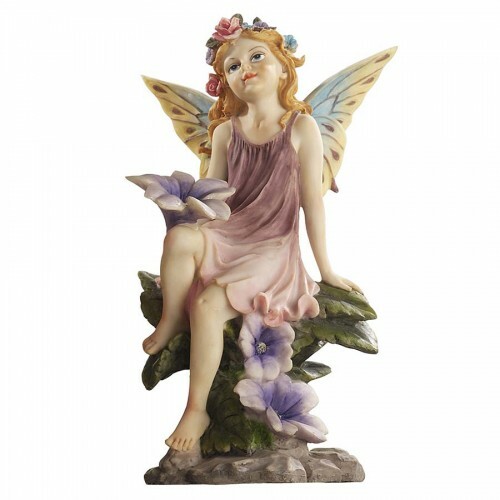 Appearing to have flown in on the wings of a dream, this exquisite pixie figurine is hand-painted in the softly muted tones that make any garden glow! Our exclusive and winsome garden gift strikes a playful pose. Cast in quality designer resin. Dimensions (Approx): 7"Wx6"Dx11½"H. 1 lb.